Where can you buy dragon in the game WoW ? Dragons – the most beautiful vehicle of the game WoW. However, getting them is not so easy. Only a few merchants offer to purchase such mounts, and only if the corresponding reputation. Also dragon you can buy with some chance on the Black market for game gold or in store Battle.net for real money. The easiest way to obtain a driving of the dragon is to buy it with real money in the store Battle.net. Blizzard invites players to purchase these vehicles like Enchanted magic dragon, the Iron heavenly thief, Armored KRONAKRIL and Heart aspects. The cost of this dragon is 600 rubles. To buy riding the dragon battle.net you must first log in under their account. Next, go to the store, select the transport and payment method. After processing the payment, the dragon will appear in the list of your vehicles. If during the purchase you were in the game, it will restart it. The most epic dragons fall with a slight chance of different bosses in dungeons and raids and some world bosses. But if you're unlucky with drops, you can try to win this riding animal at the auction of the Black market. Black market NPC in charge of Madam Goya, which stands in a hut in the location of "the Hidden staircase" (Pandaria) at the coordinates (63; 75). To buy dragon in the Black market you will need to win at auction Unclaimed container goods for the black market". It with a small chance to loot (0,7-2%) contains one of the many different dragons, i.e. to purchase a specific transport in this way will not work. In this container you can find: reins of the rusted proto, the Reason the plague Drake, Reins of the green proto-Drake, Reins of the blue proto-Drake, Reins of the dragon Onyxia, the Reins of the dragon of the North wind, Reins of the dragon of the South wind, Reins of kameshkovo dragon reins of the azure dragon, the burning dragon's Reins and reins of the blue dragon. Reaching exalted with the faction "Dragon Union" can be bought for 2000 gold reins of the red dragon" from the NPC Neostrata. The dealer is in locating the "Dragon's Graveyard" (Northrend) at the coordinate (59; 53). Find Neostrata on the top of the tower. She's standing by the dragon Queen Alexstrasza. 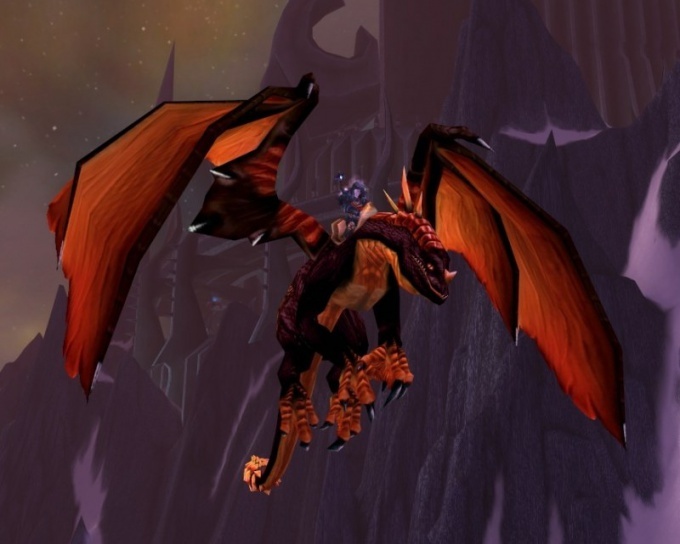 The exaltation of the defenders of Tol Barad (Alliance) or Hellscream (Horde) allows you to purchase the Reins of the dragon of the West wind". It costs 200 a recommendation icon and Tol Barad, which are obtained during quests. Traders are in Tol Barad Peninsula. Pogg (Horde) is located at coordinates (54; 81) and the Intendant, Brazi (Alliance) – coordinates (72; 62). In the location "Shadowmoon Valley (outland) at the coordinate (65; 86) is the Seller of the dragons Harlock. Him for 200 gold (180 with the Guild bonus), you can buy onyx, azure, cobalt, purple, green, and purple dragon from the pack of the Wings of the Void. Initially, you can't talk with NPC. To gain access to trade you will need to complete the quest and earn the "Exalted with this faction. First find the NPC Mordenai and follow the entire chain of quests offered to them. During the execution of the tasks of the mobs will drop two items, novice quests. Be sure to make them. In the end there will be only a task to Collect them all!". It seems on a regular basis. Harvested on the island found all the dragon eggs from the flock of the Wings of the Void and take Aprillo Mercenary. For each egg a you 250 reputation. Reaching exalted, you can go to Halunke and buy dragons.